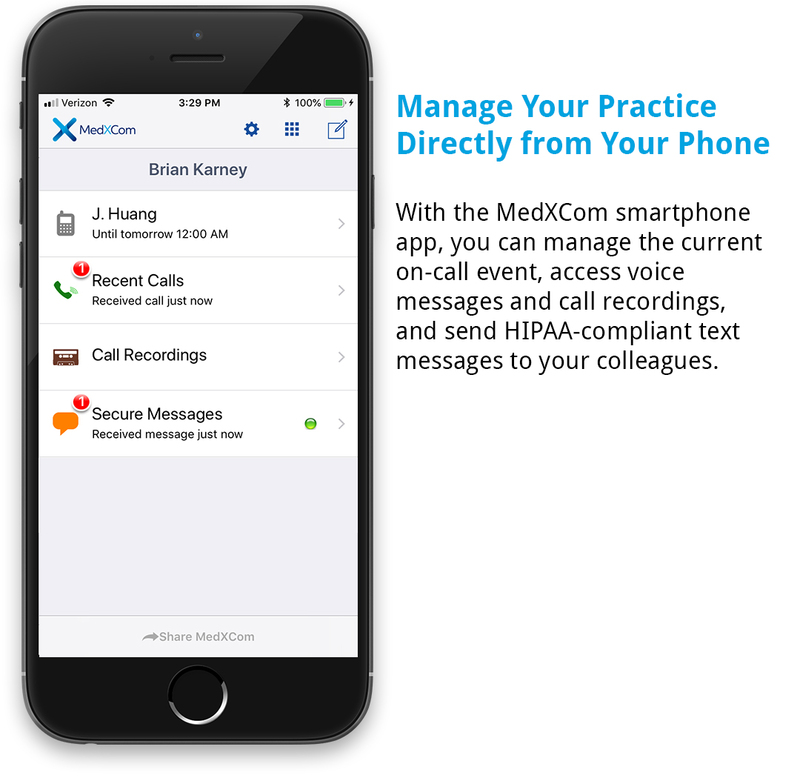 When you are ready for MedXCom to handle your calls, simply forward your practice line(s) to your MedXCom number. 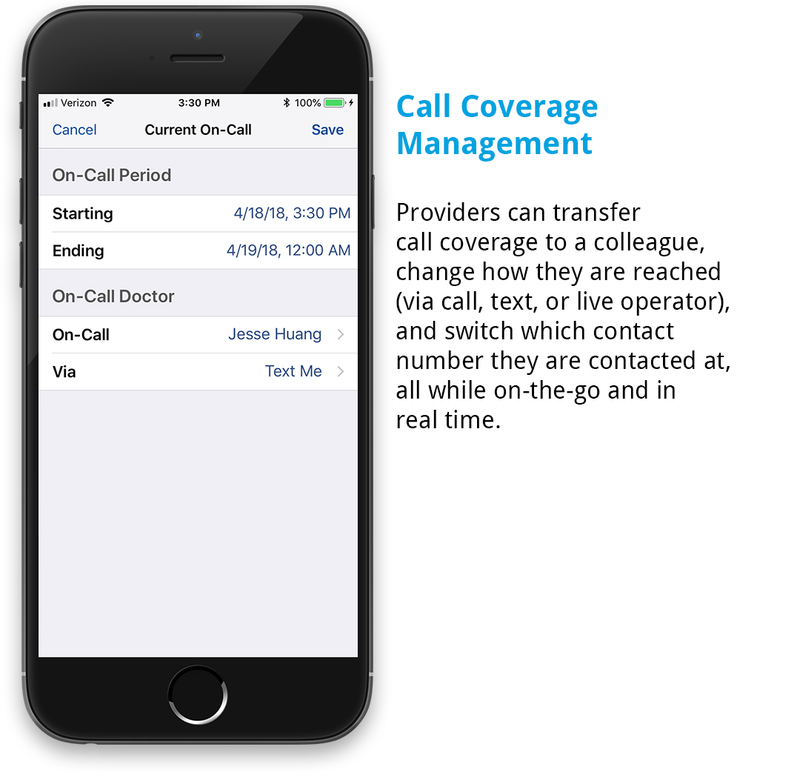 The system then screens out non-urgent calls, like prescription refills and appointment changes, ensuring only truly urgent calls get escalated to the on-call provider. 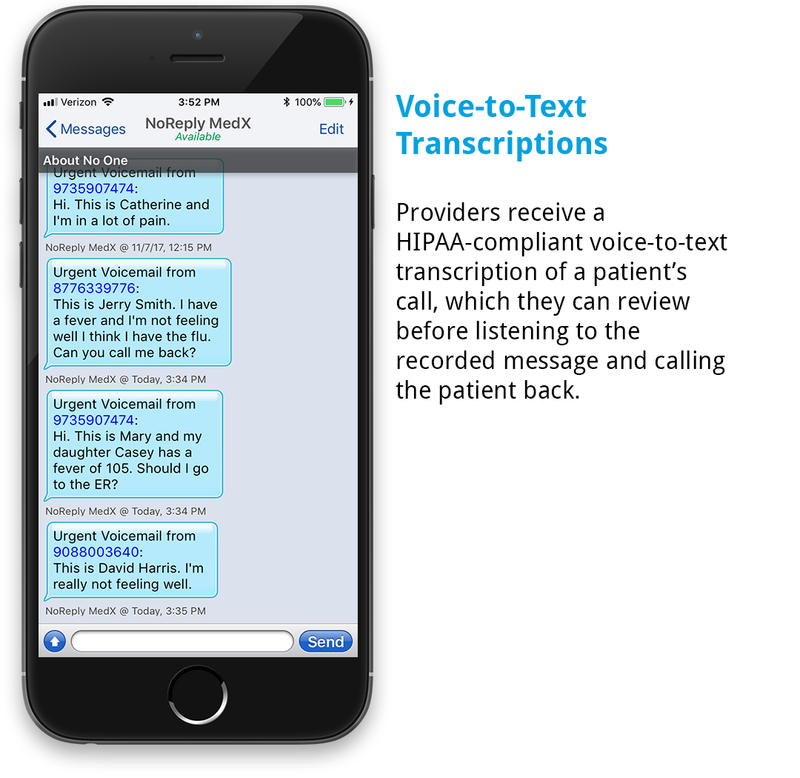 by our voice-to-text messaging via our HIPAA-compliant secure texting platform. 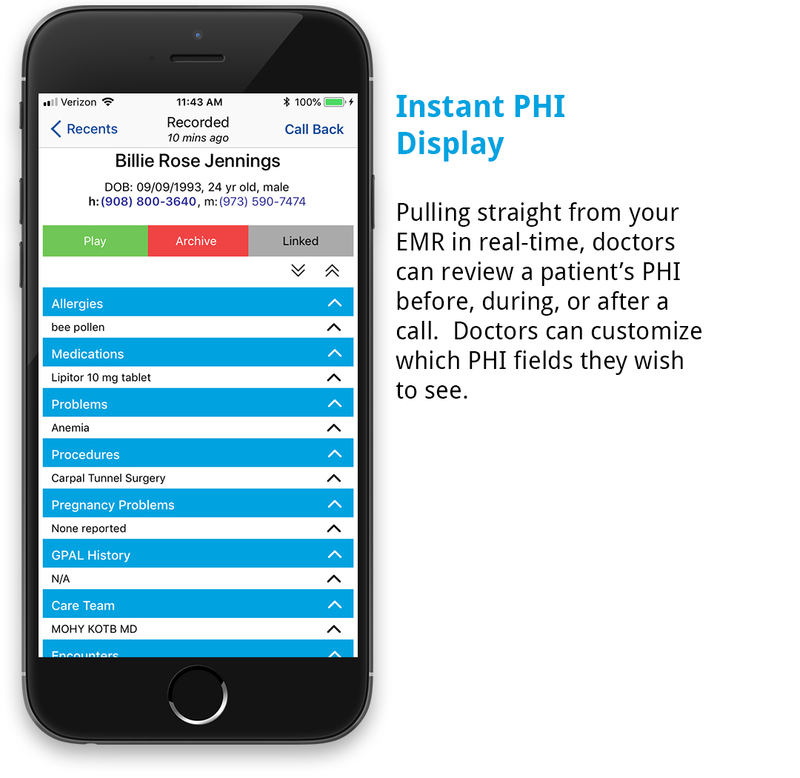 Each provider in your practice selects their own method of contact, and can always modify their own preferences in real-time, via our iOS/Android apps. 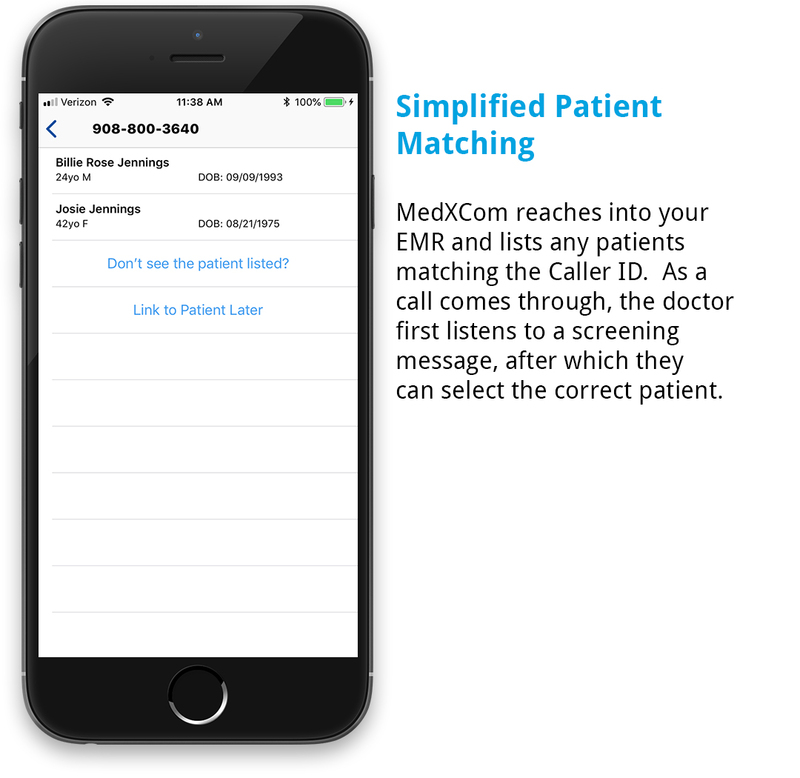 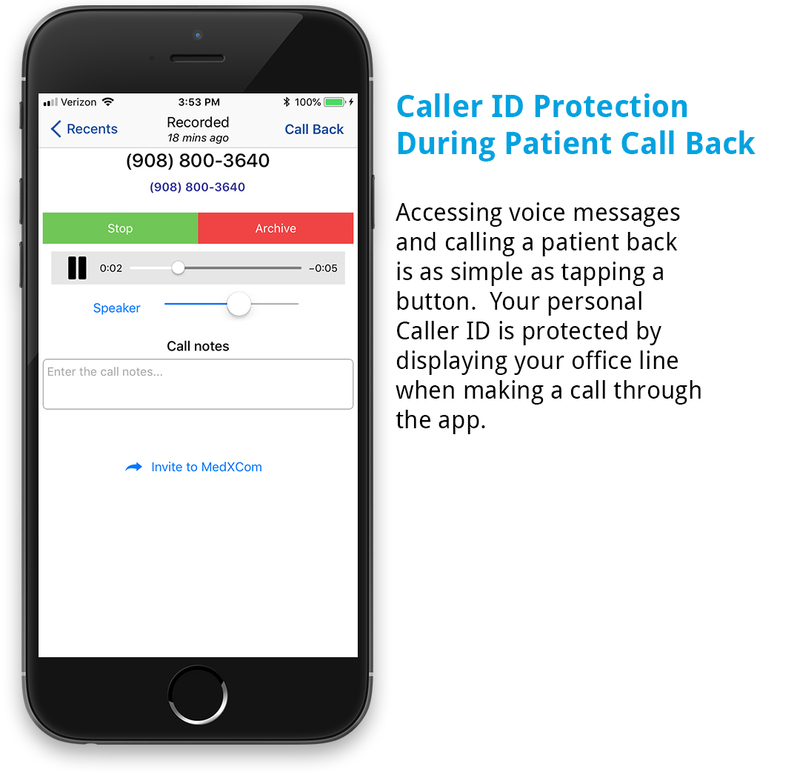 With our optional EMR Integration for users of athenaClinicals and AdvancedMD, MedXCom will display the caller’s medical summary, pulled directly from that patient’s EMR chart, instantly on your smartphone as the call comes through. 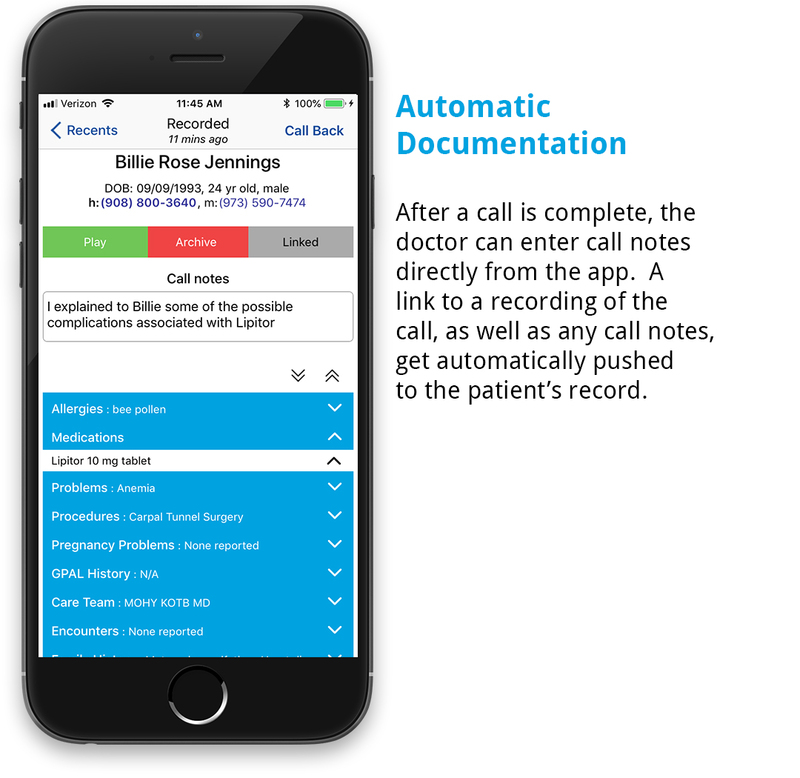 Any post-call notes documented via the smartphone app are automatically pushed back into the patient’s record. When the call is complete, MedXCom automatically ports the call recording back into the patient’s EMR record, supporting Patient Center Medical Homes (PCMH) and Meaningful Use (MU).